Last week, Steve Wozniak (aka Woz) reportedly said that ‘Apple should build an Android phone.’ Now, he has popped up again through an intermediary to deny, sort of, that he never said any such thing. Needless to say, his denial will generate a lot fewer pageviews than the original statement, but I digress. Gina Smith, who quite literally wrote the book on Wozniak (ie his biography), thought something was fishy when she read the words, ‘Apple should build an Android phone.’ True, Woz is an off-the-wall kind of guy, but he isn’t dumb, far from it. However, because she actually knows Steve, Smith decided to call him and find out for sure. It sounded wrong. So, I called Steve Wozniak, with whom I penned his biography iWoz: How I Invented the Personal Computer and Had Fun Doing It. Steve emphatically told me that the press had the story wrong. There is no doubt about that. 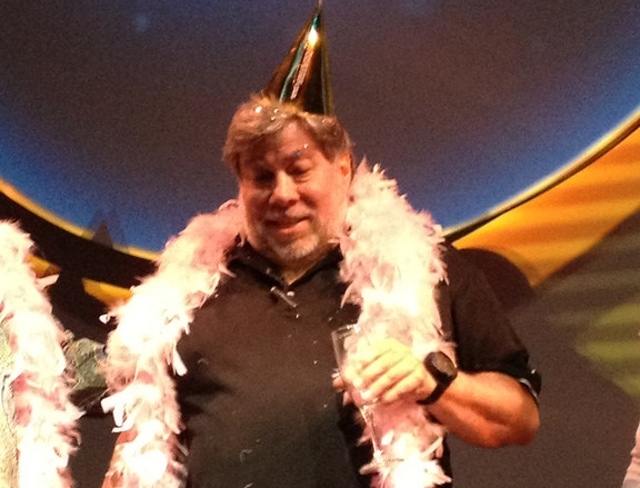 Since his early days at Apple with Steve Jobs, Woz has always been an interesting and frequently provocative guy. That is something of an understatement. And, was that a denial of ‘Apple should build an Android phone’ or an explanation of what Woz really meant to say? Yep, always an interesting guy. For example, in addition to inventing the modern personal computer, Woz helped found the Electronic Frontier Foundation (EFF), which are two of the most awesome things of the last half-century.